Six suspects have been arrested and R10 million worth of drugs seized at Kempton Park and Edenvale, east of Johannesburg. Police say cocaine, kat, crystal meth and dagga were found during a raid. 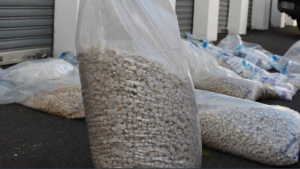 The post R10 million worth of drugs seized in police raid appeared first on SABC News – Breaking news, special reports, world, business, sport coverage of all South African current events. Africa's news leader..